Here it is! 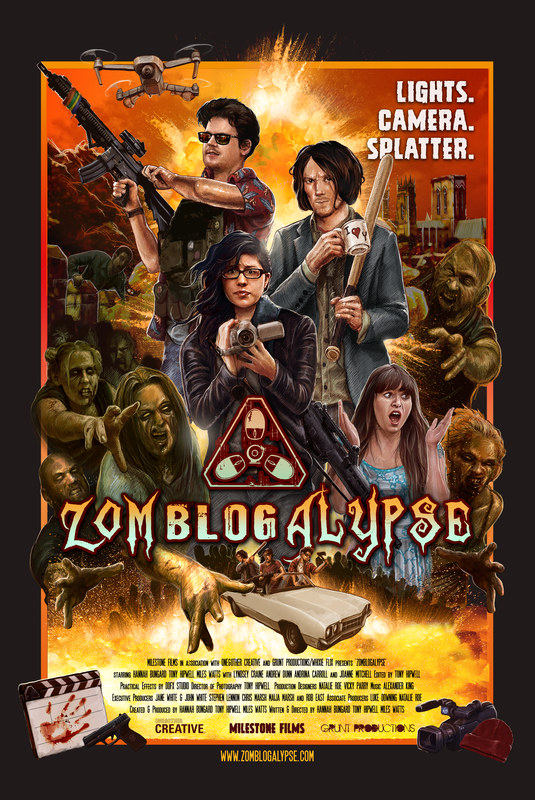 The Zomblog movie poster by Terry Henderson – Illustrator. Isn’t it marvellous? All yours for £20 (plus £2.50 P&P): full-size one sheet 26×34” premium quality wall poster for your office or geek den. 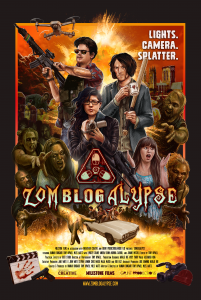 Order NOW through our website at WWW.ZOMBLOGALYPSE.COM and select the DONATE button and the relevant poster option. A3 version (2 variants) also available for £2 per poster (plus £1.50 P&P) – remember to choose whether you want the SHADES or NO SHADES variant, the difference being that Tony is wearing sunglasses in one version and not in the other!